OSP LINE is a Surface Finishing process in the range of CHEMSTAR modular series made of a combination of Polypropylene Modules. This series is a combination of horizontal Chemical Spray, Chemical Immersion and Rinse modules for the Organic Solderability Process on the final stage of the fabrication of PCB in alternative of the traditional solution of HASL for LEAD FREE regulation. The OSP Line has been designed and developed in accordance with the technical specifications of each individual chemical manufacturers. 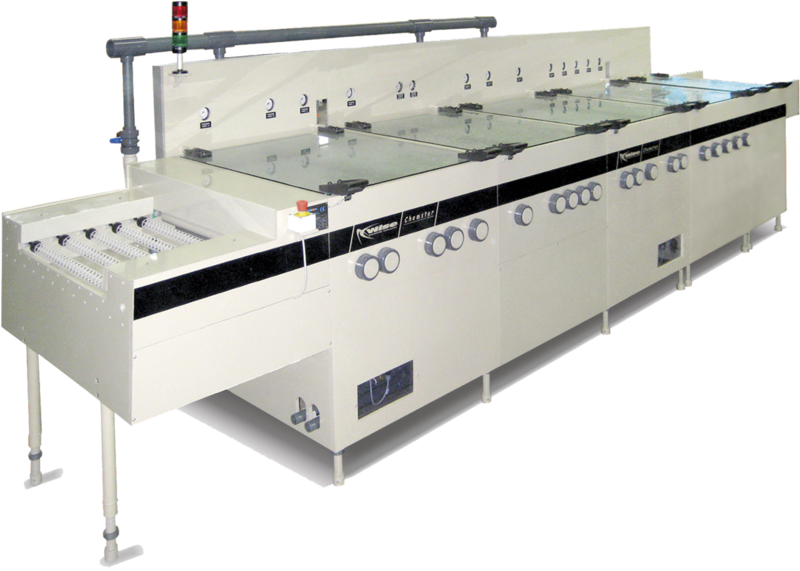 This range is available to accommodate panel widths of 650 (25,5”) and 760mm (30”). OSP Line series can process panel from 0,5 to 5 mm (.020” to .200”) thickness as a standard, but can easily works with boards down to 0,05 mm. (.002”) using the Thin Material System or up to 12,7 mm. (.500”) with the Thick Board Option. The machine has a self supporting structure totally constructed in the same materials and is available from left to right conveyor direction or mirror version. The Modular design offers the possibility to add various modules in case of new production requirement. The configuration line is in relation to the specification of the of chemical supplier; lines has been produced and installed in cooperation with different chemical suppliers. 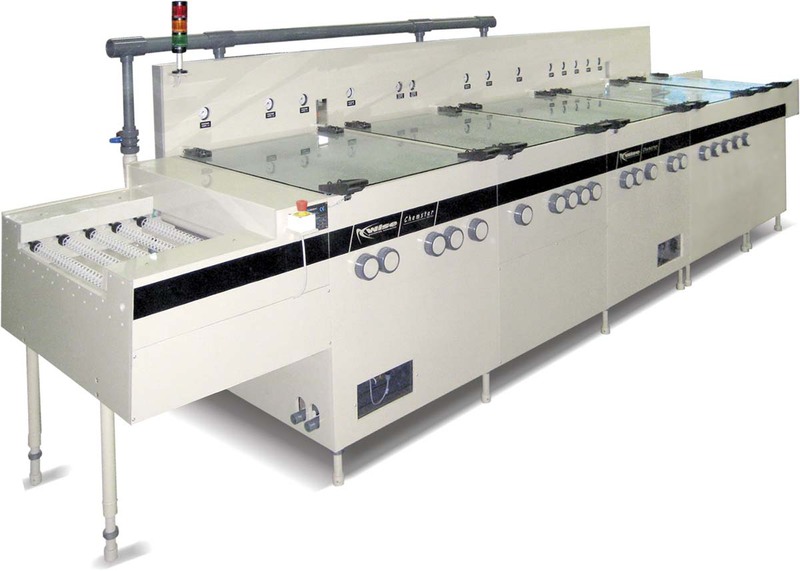 OSP Line has different versions of dryers in relation of the process and the drying capability required. Automatic spraying pressure regulation, solution make-up devices can be implemented as options with OSP Line range for many different process of the fabrication of printed circuits.